That said, the Magic Kingdom in the Paris Reality is such a treat to experience, because of all the great ways the imagineers have built and expanded upon the things they had learned before. 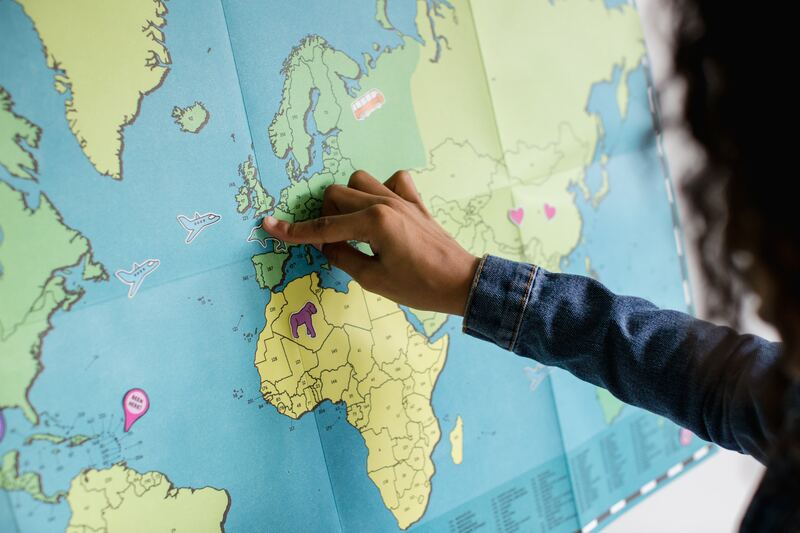 While you are exploring Adventureland, Frontierland, Fantasyland, and even Main Street USA again for the very first time, you are bound to work up an appetite for both lunch and dinner. Here are some of the can’t miss Disneyland Paris restaurants. I love Toad Hall. In away it reminds me of Columbia Harbor House in Disney World, because it is the place to go for Fish and Chips. However, the reason I love this place so much is because it resembles the facade of Mr. Toad’s Wild Ride in the original Disneyland. 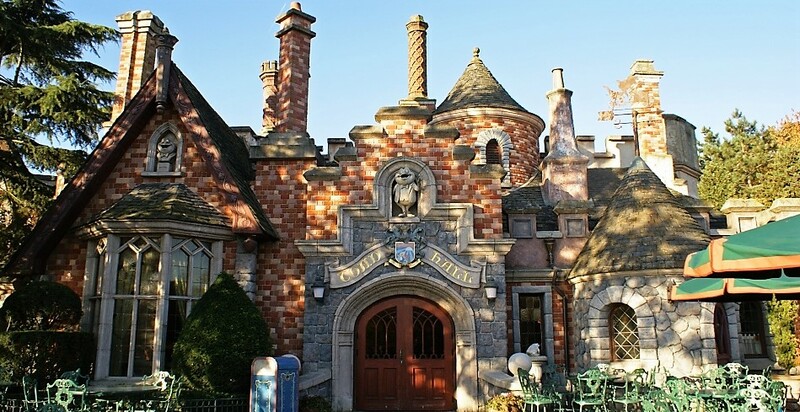 Of course this Toad Hall you get to eat in, which is an experience not to pass up on. The restaurant is a counter service venue, so it is not too pricey and the menu features a selection of salads to choose from and delightful treats different from what you find in the States. This fine dining restaurant strives for creativity as the chefs provide American cuisine with a European twist. Many of the selections on the menu feature elevated versions of some of Walt Disney’s favourite foods. 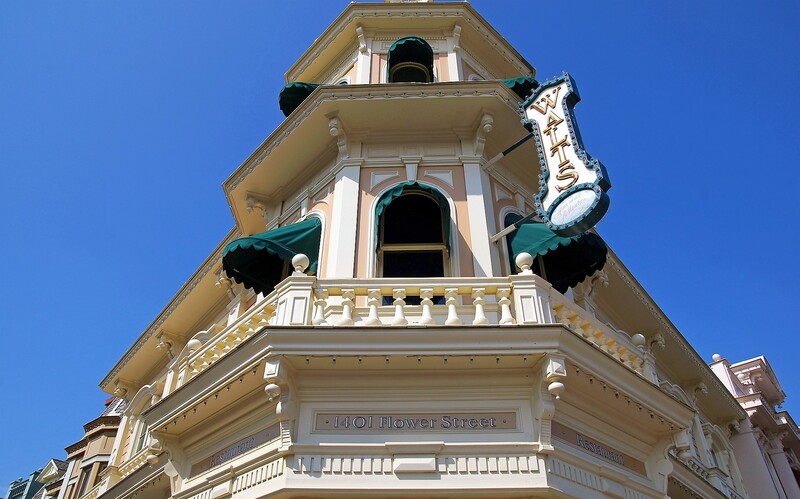 The Victorian decor evokes the magic of Main Street in a restaurant that pays tribute to Walt Disney and his legacy. 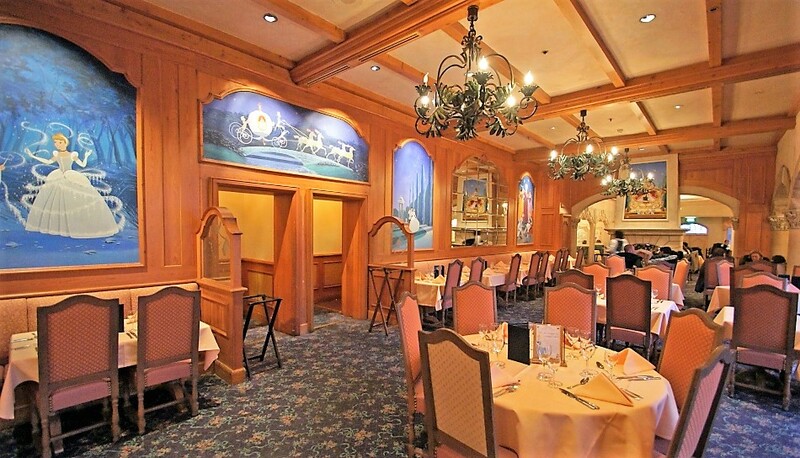 The restaurant takes up real estate, right where Carnation Cafe stands in the Original Disneyland, but this restaurant, which has dining upstairs, feels much more historic and features fascinating artwork. Pardon my French, This is the Disneyland Paris version of Cinderella’s Royal Table. It is a Character Dining experience in which guests get to meet the Disney Princesses. The meal is a Prix Fixe menu that costs 77 Euro ($89) for adults and 45 Euro ($52) for kids. The food here is fantastic and the experience is magical. The atmosphere here is absolutely stunning. 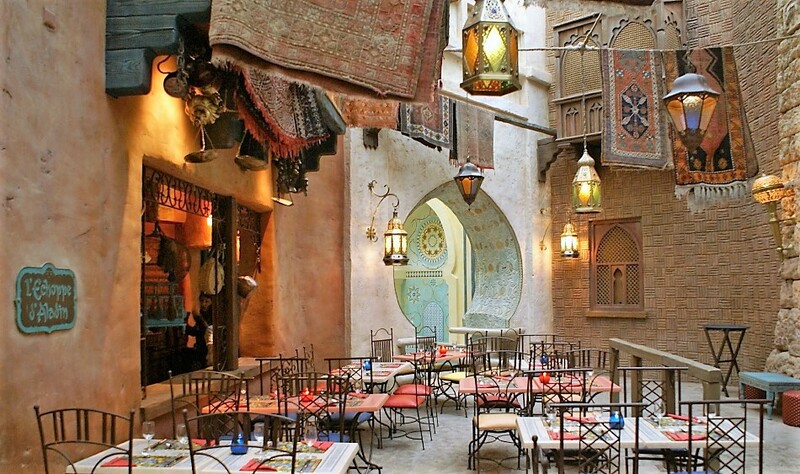 I find myself riveted to Adventureland no matter which Disneyland I am in and this restaurant is a great reason to linger a little longer within the robust theming of the area. Last, but not least is the Silver Spur Steakhouse. 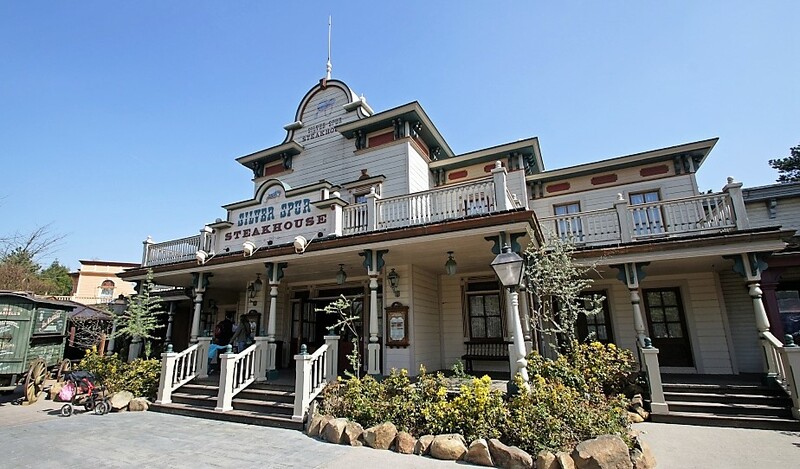 I just don’t see how you can be a part of the western fantasy brought to life in Frontierland and not jump at the opportunity to dine at a steakhouse like this one. Much like the other Disney parks in the world, Frontierland and Adventureland have some of the best food. This steakhouse is everything it ought to be and more. There is even an optional fixed menu if you choose. 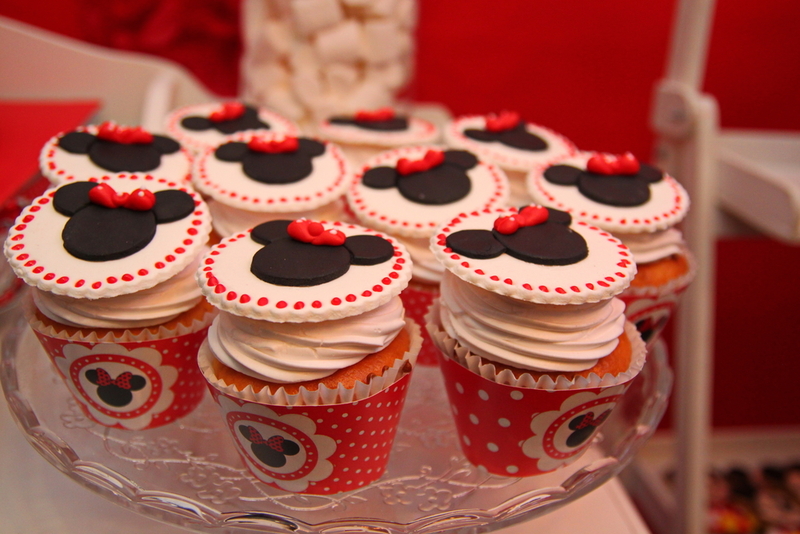 Do you have a favourite restaurant at Disneyland Paris ?